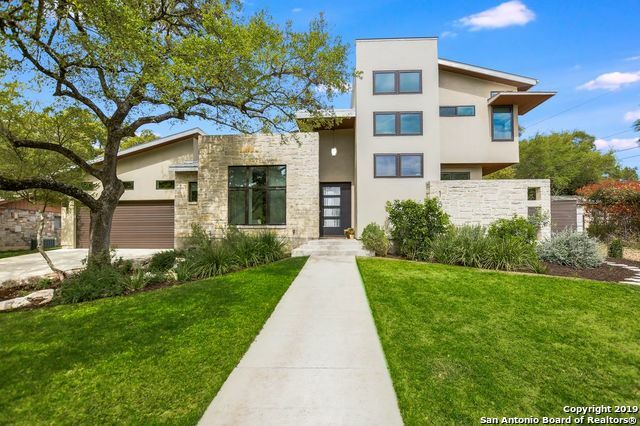 All OAKHAVEN HEIGHTS homes currently listed for sale in San Antonio as of 04/22/2019 are shown below. You can change the search criteria at any time by pressing the 'Change Search' button below. "Check out this stunning 1-story home in a secluded neighborhood where the deer roam the streets inside the loop! This home has truly been loved and craftsmanship shines. Gourmet kitchen includes concrete countertops, gas stove, wet bar and separate baking station. Master bath hosts heated floors and a custom walk in closet. Converted garage hosts mud room, office, game room and a 4th bedroom/bath that would be ideal for a mother-in-law suite. Exterior holds 2 extended patios, workshop and green "
"CORNER LOT,MATURE OAKS,RAIN GUTTERS,ESTABLISHED COMMUNITY,TILE ENTRY,SPLIT LEVEL,VAULTED CEILINGS,GRANITE COUNTERS,TILED KITCHEN,50/50 STAINLESS SINK,STAINLESS REFRIGERATOR,SAMSUNG,BREAKFAST BAR,HIGH CEILINGS,BUILT IN BOOK SHELVES,BRUSHED NICKEL FIXTURES,UPGRADED SHOWER,CARPETED ROOMS,JACUZZI TUB,KNEE SPACE,DOUBLE VANITY,WALK IN CLOSET,CUSTOM HOME,KITCHEN APPLIANCES INCLUDED,CONVERTED GARAGE INTO SINGLE EFFICIENCY APARTMENT,CHANDELIER,ARCHED ENTRY,LANDSCAPED BACKYARD,SHED,BAY WINDOW,APARTMENT,WO"
"This Vibrant 4 bedroom, 3 bath provides a bundle of unique custom work. 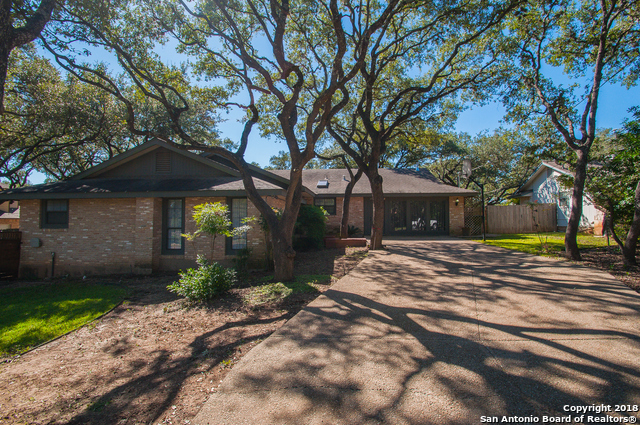 From the vaulted ceilings, stained concrete flooring, marble counter tops and stainless steel appliances this house will leave you feeling warm and welcome.The custom barbecue bark-patio comes equipped with a backyard 6-rack smoker. The 2 car garage also has a door that leads to a man cave, to host all of your backyard festivities. The master bathroom is a peaceful setting with a jetted tub, as well as spectacular tile." "This stunning home, nestled among the trees, is a 2-story home that lives like a single story with 3 bedrooms located on the main level. Featuring custom plantation shutters, a second floor media room & private guest retreat. Located just one short block from Oak Haven Park this home has it all: location, updates, and privacy. Sellers are including a 1yr home warranty from Fidelity National to the new owners." "You'll love coming home to this beautifully, updated home. 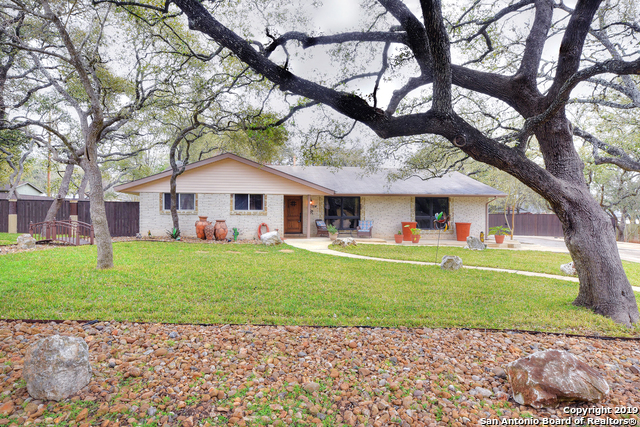 It's located on over a 1/2 acre wooded lot convenient to Loop 1604 & Hwy 281. The home features tile flooring throughout, beamed ceilings, granite counters, stainless steel appliances, and huge walk in showers. The master bedroom features a large, walk in closet with built ins. Relax on your covered patio overlooking the beautifully landscaped and fenced yard. Extra parking for your RV, boat or camper. 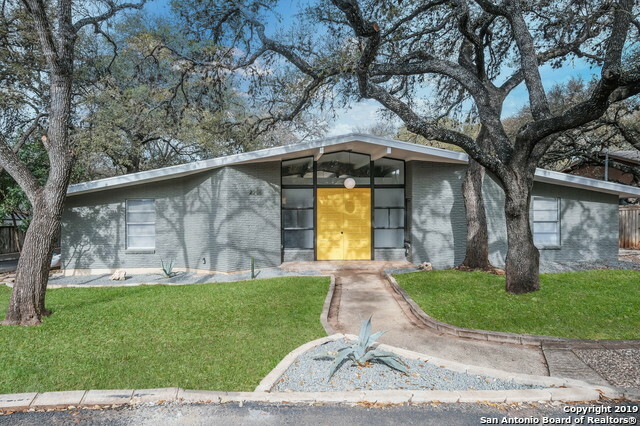 Don't miss seeing this beautif"
"mid century modern. All new sleek custom modern kitchen & baths. Porcelain floors, Quartz countertops, and an amazing covered outdoor entertaining space, Architectural wow factor. 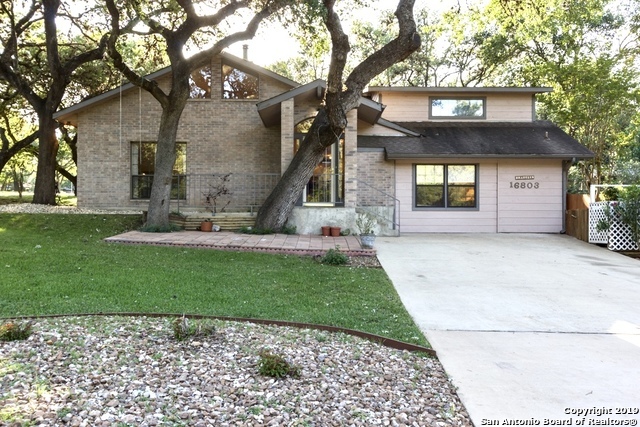 HOME IS LOCATED IN AN ESTABLISHED NEIGHBORHOOD WITH A DESIRED SCHOOL DISTRICT. MINUTES AWAY FROM SHOPPING & ENTERTAINMENT. ENJOY A RELAXING EVENING IN THE SPACIOUS BACKYARD OR IN FRONT WATCHING THE DEER PASS BY."